A group of Dutch students at Delft University of Technology have crafted a fast little number that can beat a Bugatti Veyron from 0-60 miles per hour. The shocker: it is an all-electric ride. The Dutch electric car is named the DUT13 and it looks like a Tonka kids toy, tipping the scale at a mere 320 pounds. 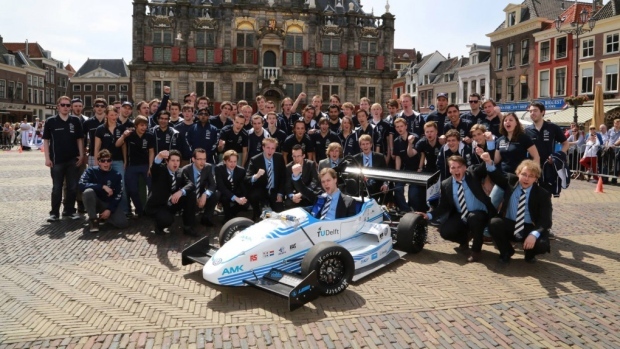 Dutch students break electric car acceleration record with a tiny ride. Its blistering acceleration rate has broken the record.